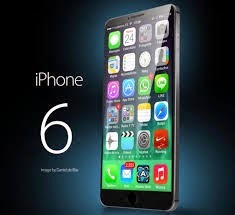 Apple has unveiled the price of the iPhone 6 and the iPhone 6 Plus, setting to rest the rumours about the amount buyers in India would have to shell out for the new handsets. While the bundled iPhone 6 will start for $199 for the 16GB variant for a two-year contract, the iPhone 6 Plus will be priced higher at $299 for 16GB for the two-year contract period. Apple has updated the US Apple Store with the contract-free prices of both the smartphones. The contract-free iPhone 6 16GB starts at $649, 64GB for $749 and 128GB for $849. The contract-free price of iPhone 6 Plus with the 5.5-inch display costs $749 for 16GB, $849 for 64GB and $949 for 128GB. This year, Apple has discontinued the 32GB variant and has introduced a new 128GB variant.